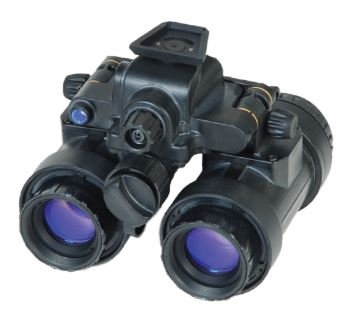 The AN/PVS-7B/D has long been a standard issue Night Observation Device with US Military Forces and their allies. It is the most widely recognized NV unit in the world and features excellent performance and user-friendly controls. The PVS-7 can be configured for hands-free helmet/head mount or hand held operation. It includes a built-in IR illuminator for short-range IR assistance in complete darkness and has an in-unit LED warning light to remind the operator that others wearing NV devices can see the IR source. This model of the PVS-7B uses a Gen3 Litton Auto-Gated image intensifier. These are top of the line tubes that offer protection from bright light sources. This safe guard helps protect your eyes by diminishing bloom and halo from bright lights, allowing you to stay on target and on mission. The Auto-Gated tube also helps protect the unit from exposure to bright light, ensuring the sensitive tube is not damaged.